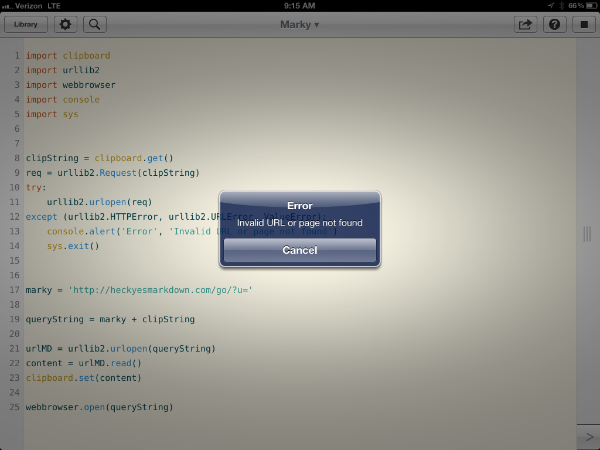 Here's a nice little tool I made in Pythonista for iOS (review). This script is using Brett Terpstra's awesome heckyesmarkdown web service, which is extremely useful and underrated. The script started life with a mess of URL validations steps, but Brett's service is so awesome that it just fails gracefully with bad URL's. But I did try out the new Pythonista console.alert() method. I like it.